A wrong way to freeze blueberries, you ask. While there isn't technically a "wrong" way, there is, I guess, a better way which will allow you to use as few or as many frozen berries as you would like. 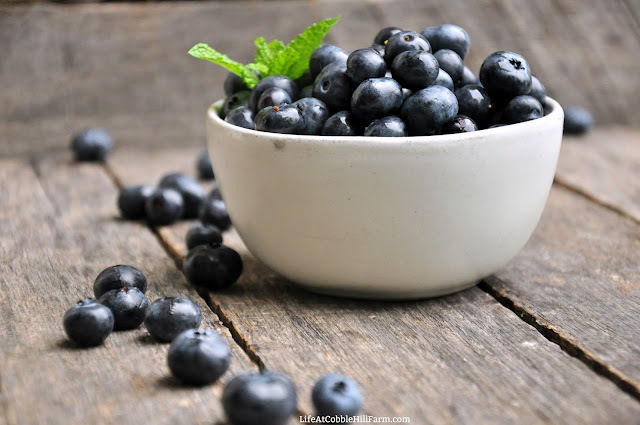 Blueberries are so incredibly good for you and it is recommended by many that a small handful a day is very beneficial. Although blueberries are likely available at your local grocer year-round, it doesn't mean those you find in the winter will taste good. Let alone the miles they've traveled to get to your town. Because of this, I highly recommend picking or buying extra blueberries when they are in season and freezing what you can for use later. I also like to make blueberry jam when the temp's drop. Usually I'll make one or two batches in the summer, after picking them, and then make more in the fall using the now frozen berries. 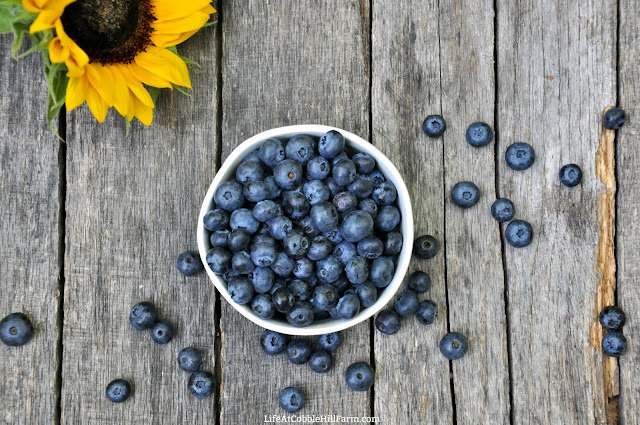 A quick note on their coating: Blueberries have a natural protective coating, a bloom, that protects them against pests and bacteria. Because this protective coating is also naturally non-stick, many prefer not to wash them until they are ready to use them. And that's fine - your choice. I choose to wash mine prior to freezing. As long as they are frozen on a sheet pan prior to being put in a freezer-safe container, they will not stick together. Prep: Prep a baking sheet (or 2 or 3), that will fit in your freezer laying flat, with a piece of freezer paper. Set aside. Lay a towel (or towels) on the counter that you will transfer damp berries onto for drying. Rinsing: If you will be washing your blueberries, carefully rinse them (I use a strainer to hold them and I use my hands to wash them under running water), pull off any stems you find, and strain off as much water as possible. Transfer damp berries to a towel and allow to sit 5 minutes or more and remove any shriveled and/or moldy berries. 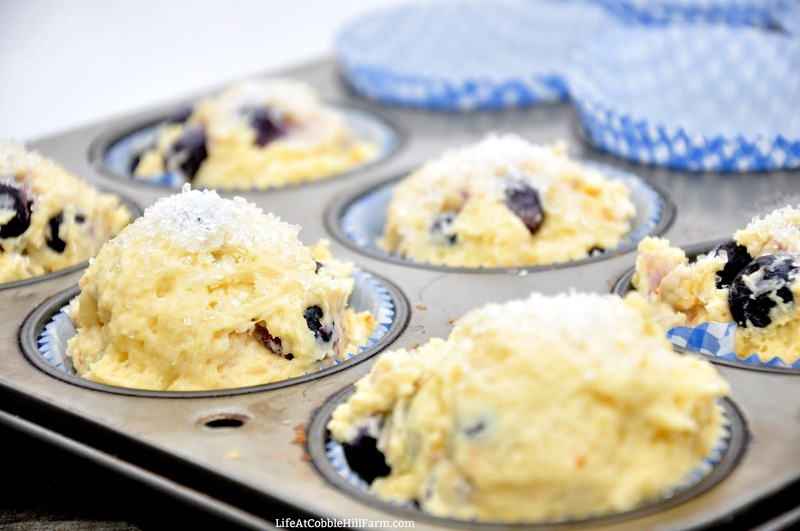 You can take another towel and gently roll it over the berries, which will dry them much more thoroughly. Freezing: Transfer berries to prepared baking sheet in a single layer (you may have to freeze them in batches). If you pile them up, they will likely stick together so it's important to keep them in a single layer. Freeze 4 hours or longer, to ensure they are fully frozen. 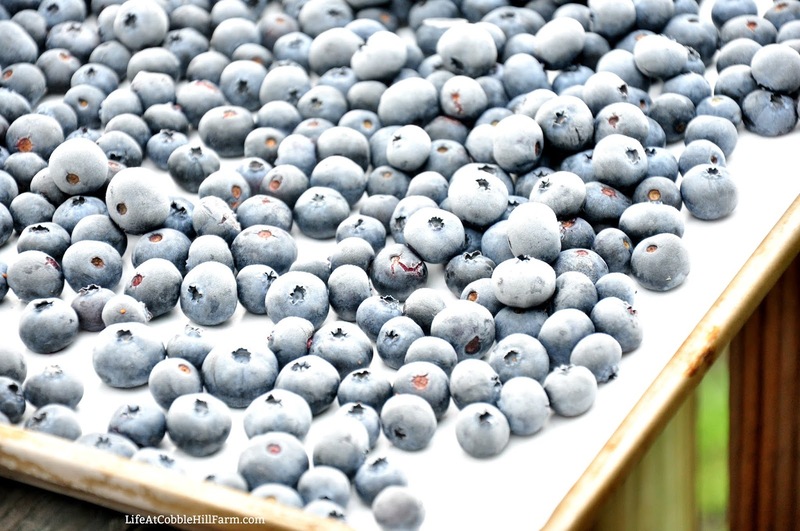 Transfer frozen berries to a freezer-safe container or bag. Label the bag and date. Place in the freezer. 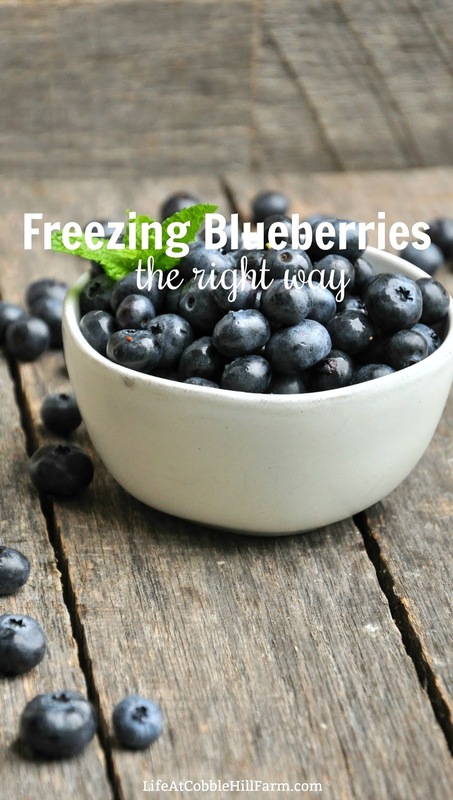 Berries can be frozen up to 10 months, although taste best if used within 5-6 months. Frozen Berries: If using in smoothies, there is no reason to thaw, just measure and add frozen to blender. If using in baked good recipes, it's often suggested to leave them frozen so they don't weep or bleed color throughout the batter. 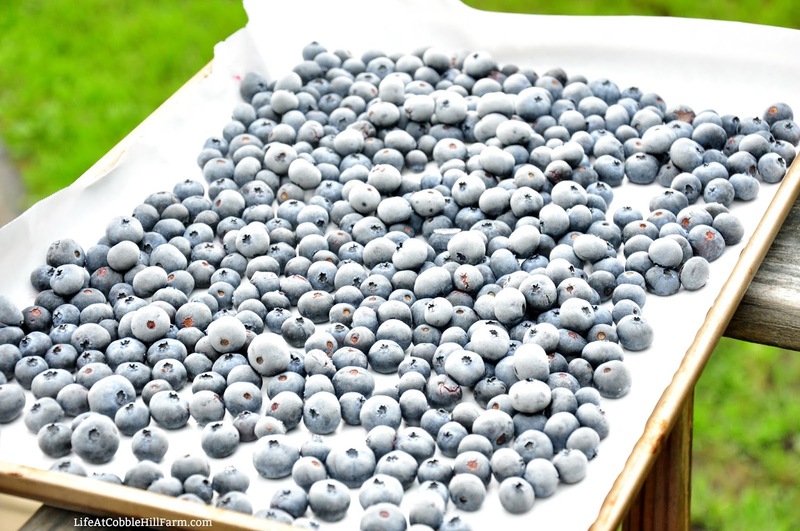 If using in a recipe where they need to be thawed, measure out the berries needed and either leave in refrigerator overnight to thaw, or at room temperature for 30-60 minutes. Blueberries are one of the crops I plan to add to the homestead next year. 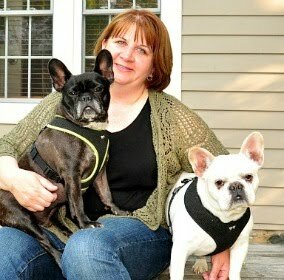 I've come to love them and they are so beneficial. Thanks for the tutorial!